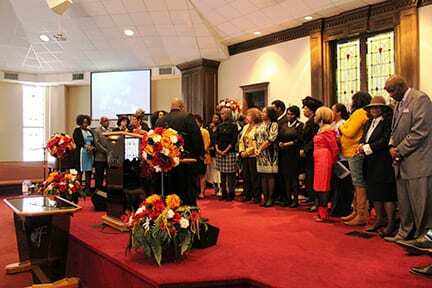 GOODLETSVILLE, TN — “It was a celebration of continued growth in serving God,” said Pastor Howard E. Jones, Jr., senior pastor at Fairfield M. B. Church in the celebration of the church he has pastored for 29 years. “We are blessed,” he added. The celebration theme, “Standing Firm, Serving Faithfully, Spiritually Moving Forward from Generation to Generation,” guided the numerous events. Beginning November 2, continuing with the Veterans Recognition Luncheon, signature Anniversary Church Service on Sunday, November 11 and Community Day on Saturday, Nov. 17, with various activities in-between. 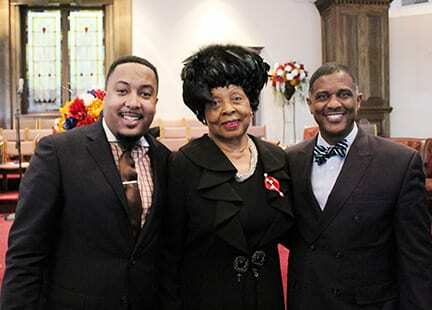 Senator Thelma Harper, honored the occasion by presenting Pastor Jones and Fairfield M. B. Church a proclamation. It was her last official act as a Senator before retiring after serving 28 years in the Senate. “It was an honor to recognize Fairfield M. B. Church on its 135th anniversary. Fairfield has a rich tradition of service to their members and to the broader community. Godspeed and continued success” said Senator Harper. 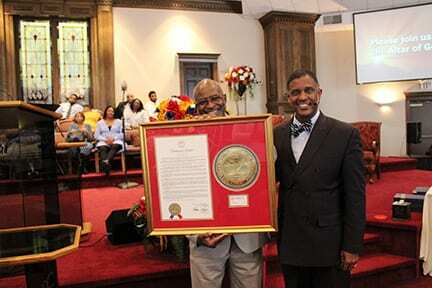 The Sunday worship service included the 8 a.m. service with Pastor Brandon Mason of Locust Ridge Primitive Baptist Church; the 10:30 a.m. service featured Fairfield’s own Senior Pastor Howard E. Jones, Jr. and the 3:30 p.m. service showcased Pastor James Turner of New Hope Missionary Baptist Church. 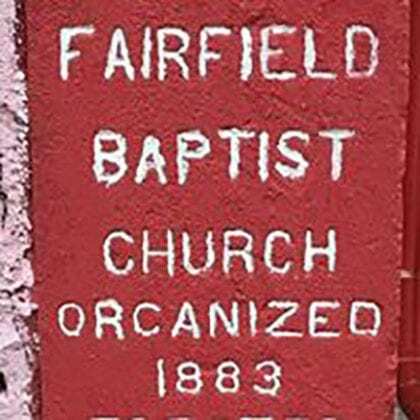 Fairfield was established in 1883, about 18 years prior to the ending of the Civil War. The church moved to its current location at 1004 S. Dickerson Rd. in Goodletsville in 2008. 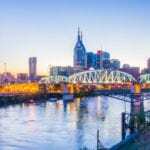 Prior to that location, the church site was at 120 Fain St., near the corner of Fairfield and Fain, off Lafayette St., a few blocks from the Music City Center. In addition to its dynamic worship services and community activities, Fairfield’s outreach projects include the Ernest Jennings Apartment Complex, located at Fain and Fairfield and Kingdom Café & Grill Restaurant, located on Historic Jefferson Street, providing affordable housing and jobs. The church’s reach covers a significant part of the city with its many faith-based enterprises. Under the leadership of Pastor Jones, the church is transforming lives through fellowship, discipleship, ministry, mission and worship, with two churches becoming a part of Fairfield in 2017, Celebrate Life Community Church and Hands of God Ministries. Another milestone the church will celebrate is the 30th Anniversary of Pastor Jones in August, 2019. Pastor Howard Jones, right, with Pastor Brandon Mason, left, of Locust Ridge Primitive Baptist Church at the 8 am service. Brandon is the grandson of Mother Beatrice Mason, the longest serving member with 74-plus years. 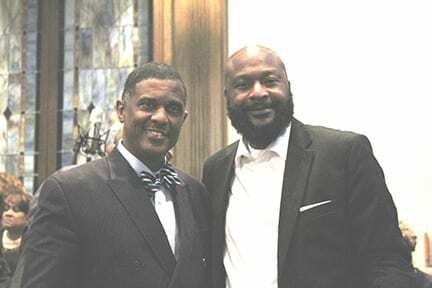 Pastor Jones with Pastor James C. Turner II, the 3:30 p.m. guest preacher from New Hope Missionary Baptist Church. 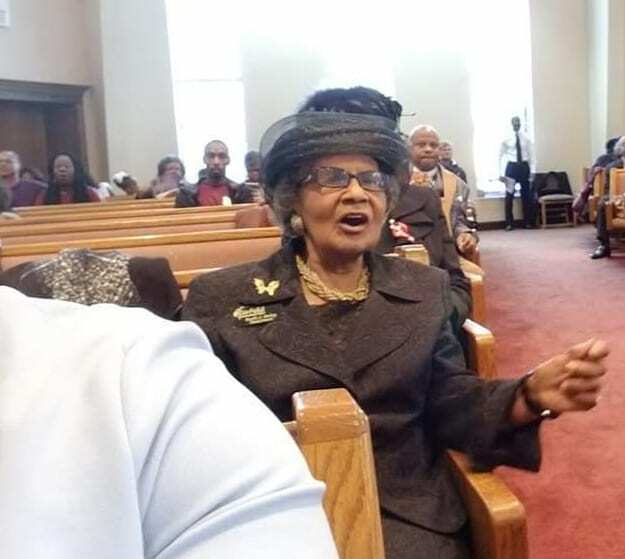 His father the late James C.Turner Sr. preached Fairfield’s 100th Church Anniversary in 1983. Veterans Day Recognition was a part of the 135th anniversary activities. 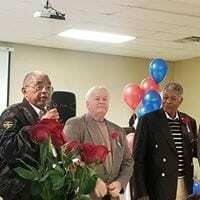 Honorees included l-r; Veterans William Roberts, Jim Berry and Robert Turner. More veterans honored l-r; Elaine Lewis, Najaneiro Handley and seated, Jalliah Haaq.